In March 2017, a group of hackers calling themselves “the Shadow Brokers” published a chunk of stolen data that included two frameworks: DanderSpritz and FuzzBunch. The Fuzzbunch framework contains various types of plugins designed to analyze victims, exploit vulnerabilities, schedule tasks, etc. The DanderSpritz framework is designed to examine already controlled machines and gather intelligence. In pair, it is a very powerful platform for cyber-espionage. How was this implant discovered? We always analyze all leaks containing malicious software to provide the best detection. The same happened after the “Lost in Translation” leak was revealed. We noticed that this leak contained a tool in the “implants” category called DarkPulsar. We analyzed this tool and understood that it is not a backdoor itself, but the administrative part only. We also noticed some magic constants in this administrative module, and having created some special signatures based on them, were able to catch the implant itself. What exactly can this implant be used for? The most interesting are DisableSecurity and EnableSecurity. RawShellcode – to execute arbitrary base-independent code. EnableSecurite – the opposite of DisableSecurity. UpgradeImplant – for installing a new version of the backdoor. PingPong – for test communication. We found around 50 victims, but believe that the figure was much higher when the Fuzzbunch and DanderSpritz frameworks were actively used. We think so because of the DanderSpritz interface, which allows many victims to be managed at the same time. The second point proving this suggestion is that after stopping their cyber-espionage campaign, the malware owners often delete their malware from victim computers, so the 50 victims are very probably just ones that the attackers have simply forgotten. What about the attack duration? Does it last long? DarkPulsar’s creators did not skimp on resources in developing such an advanced mechanism of persistence. They also included functionality to disable NTLM protocol security for bypassing the need to enter a valid username and password during authentication. This indicates that victims infected with DarkPulsar were the targets of a long-term espionage attack. Is the attack still active? We think that after the “Lost In Translation” leakage the espionage campaign was stopped, but that doesn’t mean that all computers are rid of this backdoor infection. We cured all our users. As for users without our protection, we have several tips on how to check whether your system is infected and how to cure it by yourself. Note that to exploit this backdoor on infected victims, the attackers need to know the private RSA key which pairs to the public key embedded in the backdoor. It means that no one except real DarkPulsar’s managers can exploit compromised systems. How to protect against this threat? We can detect this threat with different technologies. Which proactive technologies do you have to protect users against such threats? We use machine learning, cloud technologies, emulation, and behavioral analysis in combination with anti-exploit protection to provide the best proactive protection for our clients. Who is behind this threat? We never engage in attribution. Our purpose is to counteract all threats, regardless of their source or destination. How was this implant used? Was it created for stealing money or just information? We have not seen any techniques for stealing money in this implant, but it is worth keeping in mind that this implant can run any executable code, so its functionality can be increased significantly. In March 2017, the ShadowBrokers published a chunk of stolen data that included two frameworks: DanderSpritz and FuzzBunch. DanderSpritz consists entirely of plugins to gather intelligence, use exploits and examine already controlled machines. It is written in Java and provides a graphical windows interface similar to botnets administrative panels as well as a Metasploit-like console interface. It also includes its own backdoors and plugins for not-FuzzBunch-controlled victims. 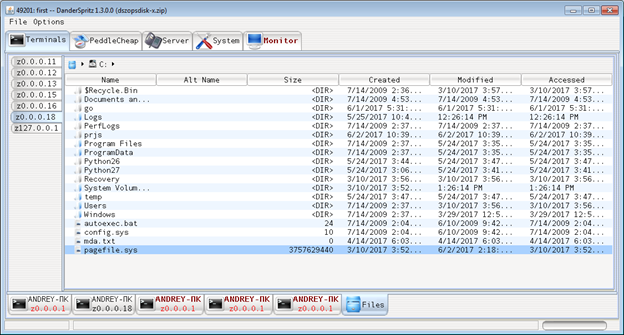 This is the utility file of the framework. It duplicates the header from XML and includes the plugin’s ID. This executable file is launched when FuZZbuNch receives the command to do so. 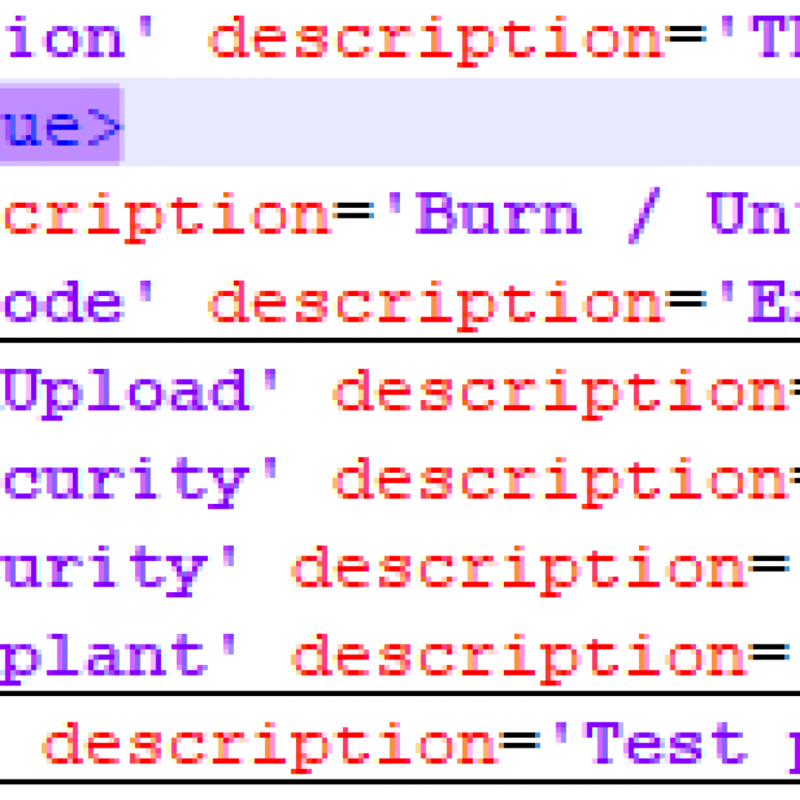 This configuration file describes the plugin’s input and output parameters – the parameter name, its type and description of what it’s responsible for; all of these can be shown in FuzzBunch as a prompt. This file also contributes a lot to the framework’s usability, as it supports the specification of default parameters. One of the most interesting Fuzzbunch’s categories is called ImplantConfig and includes plugins designed to control the infected machines via an implant at the post-exploitation stage. DarkPulsar is a very interesting administrative module for controlling a passive backdoor named ‘sipauth32.tsp’ that provides remote control, belonging to this category. Burn, RawShellcode, UpgradeImplant, and PingPong remove the implant, run arbitrary code, upgrade the implant and check if the backdoor is installed on a remote machine, respectively. The purpose of the other commands is not that obvious and, to make it worse, the leaked framework contained only the administrative module to work with DarkPulsar’s backdoor, but not the backdoor itself. We thought that probably these constants should also appear in the backdoor, so we created a detection for them. Several months later we found our mysterious DarkPulsar backdoor. We later were able to find both 32- and 64-bit versions. We found around 50 victims located in Russia, Iran and Egypt, typically infecting Windows 2003/2008 Server. Targets were related to nuclear energy, telecommunications, IT, aerospace and R&D. Two nameless functions used to install the backdoor in the system. 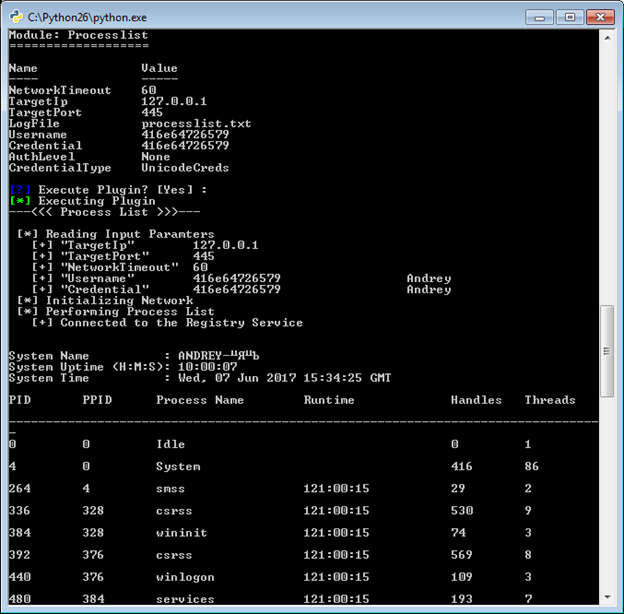 Functions with names related to TSPI (Telephony Service Provider Interface) operations that ensure the backdoor is in the autorun list and launched automatically. A function with a name related to SSPI (Security Support Provider Interface) operations. 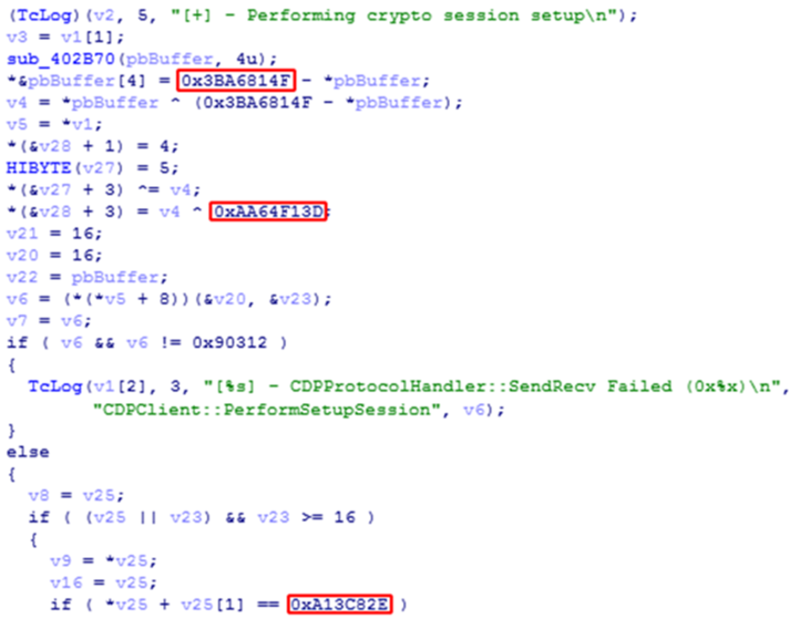 It implements the main malicious payload. The implementations of the SSPI and TSPI interfaces are minimalistic: the functions that are exported by DarkPulsar have the same names as the interface functions; however, they include malicious code instead of the phone service. This is loaded at start by the Telephony API (TapiSrv) launched alongside the Remote Access Connection Manager (RasMan) service, setting startup type as “Automatic”. When loading the telephony service provider’s library, TapiSrv calls TSPI_lineNegotiateTSPIVersion which contains the AddSecurityPackage call to make the inject into lsass.exe. Lsasrv.dll –for the Negotiate protocol. After this, Darkpulsar gets ability to embed malware traffic into system protocols. Since this network activity takes place according to standard system charts, it will only be reflected in the System process – it uses the system ports reserved for the above protocols without hindering their normal operation. The second advantage of controlling authentication processes is ability to bypass entering a valid username and password for obtaining access to objects that require authentication such as processes list, remote registry, file system through SMB. After Darkpulsar’s DisableSecurity command is sent, backdoor’s hooks on the victim side will always returns in the SpAcceptLsaModeContext function that passed credentials are valid. Getting that, system will provide access to protected objects to client. DanderSpritz is the framework for controlling infected machines, different from FuZZbuNch as the latter provides a limited toolkit for the post-exploitation stage with specific functions such as DisableSecurity and EnableSecurity for DarkPulsar. For DanderSpritz works for a larger range of backdoors, using PeedleCheap in the victim to enable operators launching plugins. 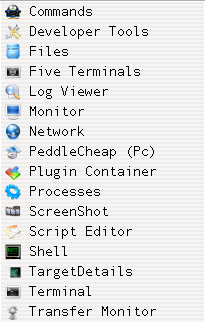 PeddleCheap is a plugin of DanderSpritz which can be used to configure implants and connect to infected machines. Once a connection is established all DanderSpritz post-exploitation features become available. 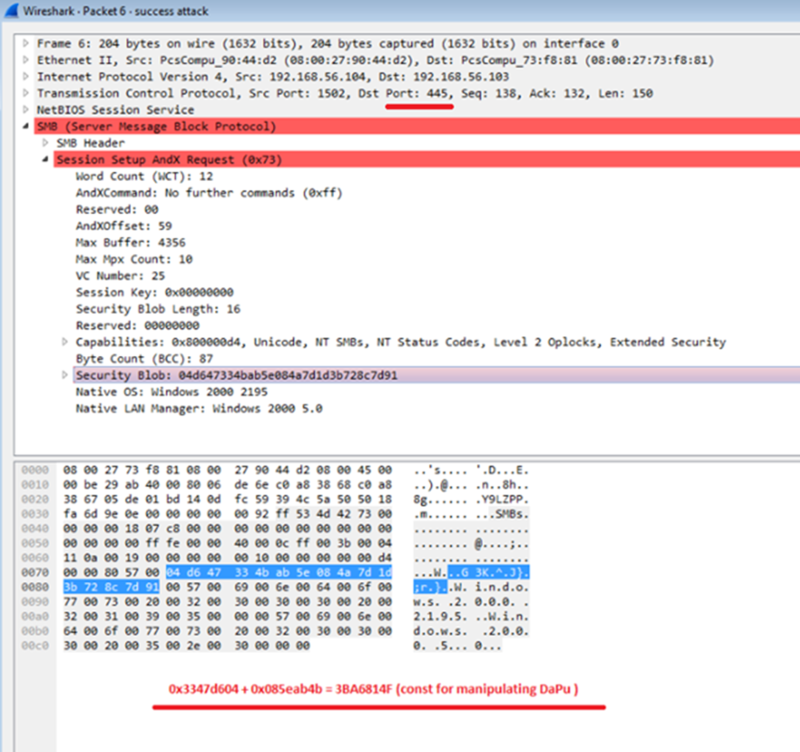 This is how DarkPulsar in EDFStagedUpload mode provides the opportunity to infect the victim with a more functional implant: PCDllLauncher (Fuzzbunch’s plugin) deploys the PeddleCheap implant on the victim side, and DanderSpritz provides a user-friendly post-exploitation interface. Hence, the full name of PCDllLauncher is ‘PeddleCheap DLL Launcher’. 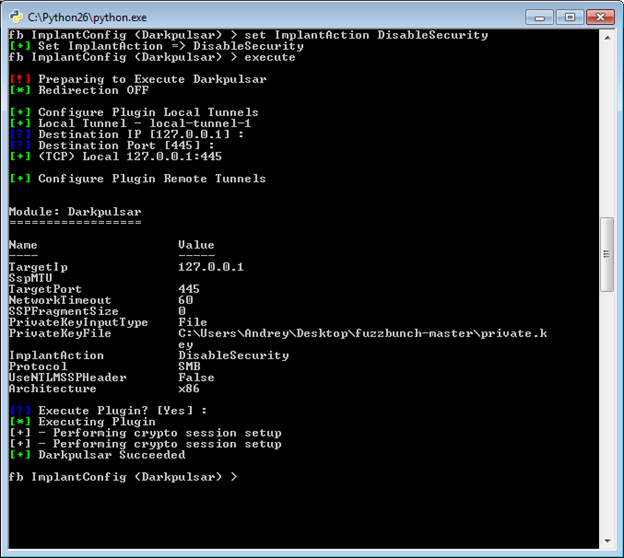 Via FuZZbuNch, run command EDFStagedUpload to launch DarkPulsar. In DanderSpritz, run command pc_prep (PeedelCheap Preparation) to prepare the payload and the library to be launched on the implant side. In DanderSpritz, run command pc_old (which is the alias of command pc_listen -reuse -nolisten -key Default) – this sets it to wait for a socket from Pcdlllauncher. Launch Pcdlllauncher via FuZZbuNch and specify the path to the payload that has been prepared with the command pc_prep in the ImplantFilename parameter. The FuzzBunch and DanderSpritz frameworks are designed to be flexible and to extend functionality and compatibility with other tools. Each of them consists of a set of plugins designed for different tasks: while FuzzBunch plugins are responsible for reconnaissance and attacking a victim, plugins in the DanderSpritz framework are developed for managing already infected victims. The discovery of the DarkPulsar backdoor helped in understanding its role as a bridge between the two leaked frameworks, and how they are part of the same attacking platform designed for long-term compromise, based on DarkPulsar’s advanced abilities for persistence and stealthiness. The implementation of these capabilities, such as encapsulating its traffic into legitimate protocols and bypassing entering credentials to pass authentication, are highly professional. Our product can completely remove the related to this attack malware.